Gaming industry innovations can make your office a healthier, better place to work. Building a great workplace takes more than ping-pong tables and arcade games. But fun and games certainly don’t hurt. In fact, casual gaming might actually make workers more productive. 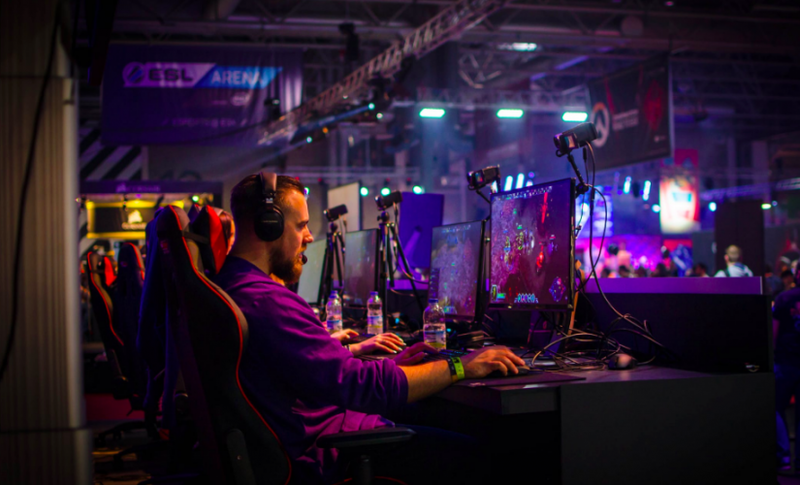 In a study published in Human Factors, researchers found that participants who paused work to briefly play a video game restored their cognitive and affective abilities. In turn, they responded better to stress. Not every entrepreneur can afford, of course, to pay team members to play video games on the job. A surprising number of gaming industry innovations, however, can make your office a healthier, more comfortable place to work. Sitting may be the new smoking, but it’s still a welcome break for workers who’ve been standing all day. If your teammates are often on their feet — or you want to give those with standing desks the option to sit — think about getting gaming chairs. Which gaming chair should you choose? In its review of 30 top options, Rave Reviews argues the DXRacer FD101/N is the chair to beat. The review platform explains it’s made sturdily, with high-density foam, breathable fabrics, and an imitation leather cover. Because it supports the head, neck, shoulders, and wrists, DXRacer’s chair keeps workers comfortable for eight or more hours. For a chair that looks like it belongs in an office, Rave Reviews suggests Herman Miller’s Aeron, a mesh-backed chair with specialized padding to reduce blood clots. If you often leave work with watering eyes, a headache, a sore neck, or the feeling that you can’t keep your eyes open, it might be more than fatigue. The Mayo Clinic notes those are all symptoms of eyestrain, commonly caused by extended use of digital devices. Short of forbidding workers from using their computers, which they likely need to do their jobs, what can you do? Optometrist Gary Heiting, senior editor of AllAboutVision, suggests a gaming industry innovation: computer eyewear. Digital Trends’ top choice for computer eyewear actually comes in a two-pack for just $30 — a steal at $15 per employee. That’s very affordable when you consider that a University of Birmingham study showed correcting vision issues can improve productivity up to 20 percent. In an ideal world, every worker who needed to take a call would have a quiet place to do so. In reality, chatty co-workers, construction noises, and background music can make it tough for remote participants to hear. Rather than build more conference rooms or crack down on office banter, get everyone a gaming headset. TechRadar just published its list of best gaming headsets for 2019, and there’s an option for every budget. Of the 15 listed, the best value might be Logitech’s G Pro headset, focusing on comfort and sound over style. TechRadar’s editors particularly liked the G Pro’s passive noise-isolating capabilities, which reduce background noise to let the listener focus. Some, like HyperX’s Cloud Flight, even offer a detachable noise-canceling microphone, which minimizes background sounds on the speaker’s end. Anyone who lives at his keyboard will recognize the symptoms of carpal tunnel syndrome: persistent numbness, pain, or tingling in the hand or arm. The condition occurs when one of the major nerves of the hand is squeezed between the bones of the wrist. While you can’t keep workers who rely on a computer from using it, you can make them more comfortable. Ergonomic keyboards, another invention of the gaming industry, help minimize stress on the hands and wrists. Of Lifewire’s eight best ergonomic keyboards for 2019, we like Microsoft’s Sculpt and Fellowes’ Microban keyboard. With a domed design and arced keys, Sculpt is an all-day keyboard at a reasonable price. Although Fellowes’ keyboard is a budget offering, its antimicrobial coating makes it a great choice for shared spaces. For augmented reality, Pokémon Go was the shot heard ‘round the world. Not only was it the most popular AR application when it debuted in 2016, but it broke user records this past summer. Not long after, IKEA debuted its AR-infused IKEA Place app. The application shows users how more than 2,000 furniture items might fit in their own homes. Although IKEA’s app works only with its own furniture, other AR firms have built office-planning tools with the technology. Commercial developer American Life, for instance, lets prospective tenants tour planned offices before the first brick is laid. Once the space is built, Evara VR’s app enables users to explore combinations of desks, filing cabinets, and conference tables. Even if your workers don’t consider themselves gamers, they can appreciate the parallels with how gamers spend their time. Loud conversations, uncomfortable chairs, and sore wrists get in the way of monster-slaying just as much as they hurt number-crunching. And who knows? With all the time your team saves, it might have time for some video games after all.